I chose to self-publish at a relatively early stage after finishing my crime novel, No Stranger to Death. I wanted to go down that route before frustration set in at not being able to get a traditional publishing deal, before it felt like a last resort. No task ever goes well if you’re angry about having to do it. I had submitted my novel to several agents during 2012. They were, in the main, kind but dismissive, all bar one who asked to see the full manuscript. She telephoned a few weeks later to say she had enjoyed reading it, that it was ‘very good’, but despite this she wasn’t going to take me on. No Stranger to Death was too ‘mid-list’, not different enough to attract a publisher in the current climate. My husband expected me to be devastated by this rejection, but I wasn’t. Instead, I regarded it as affirmation that my novel deserved to find an audience. I began to think maybe I should go out and find that audience myself. I knew this was possible. 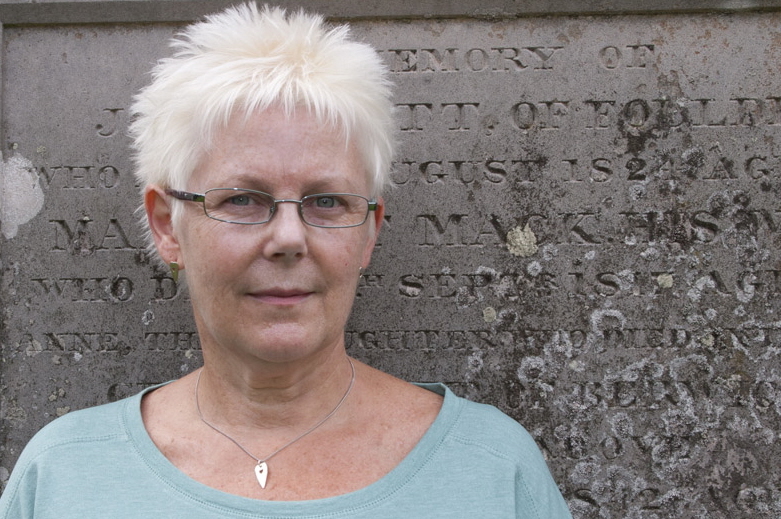 There are shining examples of successful self-publishing in crime fiction, like Mel Sherratt, who is a friend and an inspiration. Then, in late 2012, I attended an event for writers held here in the Scottish Borders. Local author Peter Flannery spoke about self-publishing his novel, First and Only, and how the book’s sales had exceeded his wildest expectations (it was No.1 in the Kindle Psychological Crime, Thrillers and Mystery chart for three months). I mentioned my decision to several people at the Theakston’s Crime Writing Festival in Harrogate in July 2013. The response ranged from embarrassed silence, to ‘Good for you’ then an abrupt change of subject, to genuine interest. A few unpublished writers said (confidentially) they were considering doing the same. The stigma attached to self-publishing mainly revolves around issues of quality. There’s an assumption that anything not accredited by a traditional publisher will suffer from poor writing, editing and formatting, topped off by a naff cover. I was determined to challenge that assumption. However, I’m not a graphic designer, my IT know-how is minimal, and it’s impossible to edit one’s own writing effectively. So, in my case, self-publishing became a misnomer: I decided to buy in the expertise I lacked. A friend put me in touch with Kim McGillivray when I mentioned needing a book-cover designer. It was a leap of faith for us both. I chose Kim because he lived in Edinburgh so we could meet face-to-face, and I admired the work on his website. Kim had designed book covers but never dealt directly with an author before. I read up on book-cover design and looked at many examples, good and bad. The key to producing an effective cover is to remember it isn’t a work of art: it has a job to do. As I’m a debut author, my cover had to tell prospective readers what they could expect to find inside. It also needed to work in a variety of sizes, starting from a mere thumbnail. When Kim showed me his design ideas, I was bowled over by how well he had succeeded in meeting these goals. I found both my editor, Caroline Smailes at BubbleCow, and Jo Harrison, who formatted my e-book, via Twitter. Being edited was nerve racking. Apart from that agent, no one else had read No Stranger to Death, so I didn’t know what to expect. However, Caroline’s comments were both reassuring and insightful, and it became a far better book when I incorporated her suggested changes. Other self-published authors assured me I was capable of formatting my e-book myself. However, I preferred to put it into the hands of an expert and get on with tasks, like writing marketing material, that I knew I could do. I did, though, successfully format the paperback. I’d be lying if I said I sailed through the technical side of putting my book on to Amazon, but the Kindle Direct Publishing and CreateSpace websites are well designed and take you step by-step through the process. 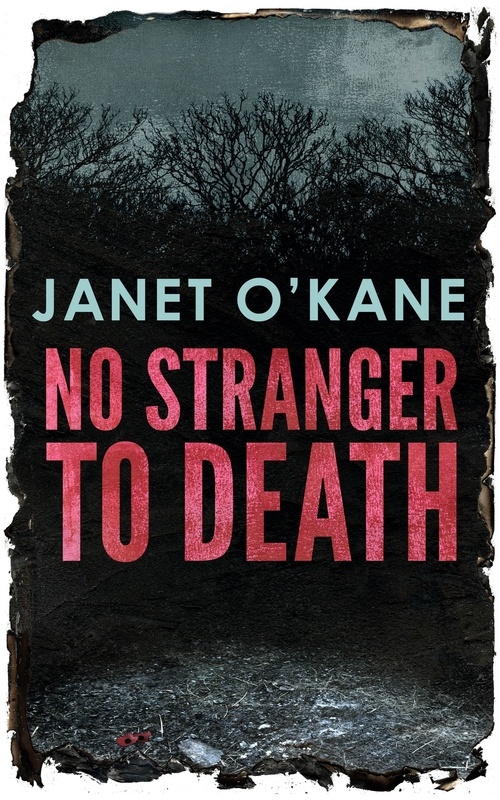 The e-book of No Stranger to Death appeared on Amazon on 19 November, and I officially launched it via email, Twitter and Facebook the next day. In its first week it reached the Kindle Top 20 of Scottish crime novels. Many authors don’t bother bringing out paperbacks of their books but I knew I’d made the right decision to offer a physical book too when so many people told me they wanted to read it that way. The paperback is also a thing of beauty (to me, at least) and tangible proof I am now published. No Stranger to Death has been well received: every review thus far has given it five stars. Because I invested in outside help with important aspects of my book, I’m proud of how it has turned out. And the best part of my self-publishing journey? Having readers tell me they enjoyed my novel so much that they can’t wait for the next one! Many thanks to Janet for this interesting and eye-opening piece. I’d be very interested to hear other people’s views and experiences of self-publishing. The overall impression is that Janet O’Kane’s commitment to quality has paid off. The cover is atmospheric and intriguing. Even though the version I read wasn’t the final Kindle edition, it was better presented than many e-books of traditionally published novels. The professional edit was a good investment: Janet’s writing is smooth and lively and she shows herself to be in control of a complex and involving plot. The vivid depiction of a close-knit rural community in the Scottish Borders was a strong point, capturing the ups and downs of everyone knowing everyone else’s business, with some entertaining characters and shrewd observations of human nature. In general this would appeal to fans of the cosier (for want of a better term) end of crime fiction although personally I found the brief diversion into edgier territory rather uncomfortable. 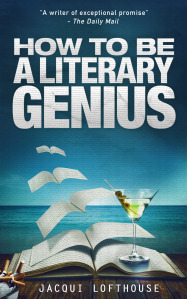 Whilst we’re on the subject of newer ways of bringing a book to its market, just this week I read and enjoyed Jacqui Lofthouse’s very funny novel How to be a Literary Genius. Jacqui is a previously traditionally published author whose latest book is published by Blackbird Digital Books, a company run by authors. *I have no plans to feature self-published fiction on a regular basis. COMING SOON TO A SOFA NEAR YOU – FICTION HOT PICKS 2014 ! After three months in the making, on Tuesday 17 December I will be publishing my Fiction Hot Picks of 2014 – a diverse selection of eleven brilliant titles. There will also be a competition – three winners will get to pick the title of their choice from my recommendations. Oh, Janet, I like your description of the ‘tongue-tied’ reactions to your decision to self-publish in Harrogate! Still very much perceived as the step-sister of ‘real’ publishing, isn’t it? But you have done a very professional job with it – it’s all ready to go on my Kindle. Thank you so much for the words of encouragement, Marina, and for buying the book. You’re right, there’s still a long way to go for self-publishing to be accepted as anything but a poor relation. But it’ll get there. Really enjoyed this post as I’ve followed Janet’s progress via Twitter too. The one thing I’d be interested to know is how much it costs a writer for the services of a professional editor, cover designer and formatting. As you know, I’ve yet to secure a traditional publishing deal and have the ‘never say never’ philosophy regarding self-publishing. If I was ever to consider this approach, like Janet, I’d want to buy in the expertise and would need to know how much it cost as I’m sure it would take significant sales to recoup the investment long before any profit was made. A total ballpark figure would be useful to know. Very good question actually, Helen, especially as eBooks are often sold very cheaply. Let’s see if Janet can be drawn on the subject of hard cash! Glad you enjoyed the post. Happy to confirm that I did it all within the budget of £1500 that I had available. I chose to outsource individual services, but I know there are companies which do the whole thing. Because this was my first such experience, I attached importance to having a cover designer I could actually meet and talk with. He also read my entire book, which I can’t imagine ‘packaged’ options would include, although I may be wrong. Thanks for being so upfront about the costs involved Janet. It certainly helps explain why the issue of quality might be associated with self-publishing as I’m sure lots of writers don’t feel they need to or can’t afford to employ the services of the professionals. None of us write for money but I hope your novel is a success in every sense.